From programming to project management to creating new ventures, the field of information systems uses technological tools to generate, process and distribute information in an effective, efficient way. Information systems professionals analyze how organizations are operating, design new ways to address problems and challenges, and implement ideas that improve productivity and efficiency. The Information Systems program is based on professional core courses that teach students to analyze, design, implement and test information systems using current and emerging organizational and technological practices. Two of these courses are project-based, in which small groups develop solutions to clients’ real information problems. The program exposes students to four areas fundamental to understanding problems in information systems: organizations, decision making, research methods and professional communications. Courses in mathematics, statistics and computer programming provide students with strong quantitative skills to meet the technical demands of the discipline. 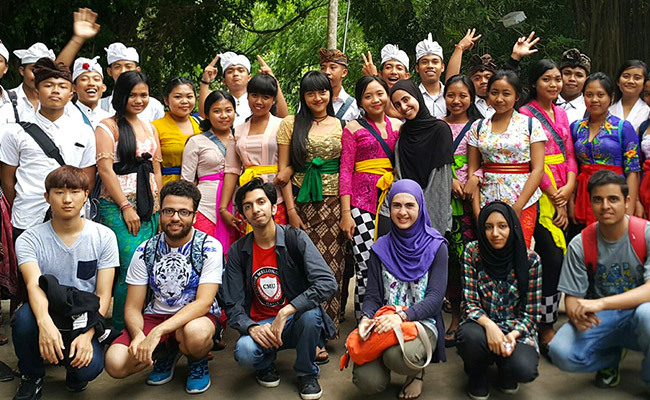 The flexible nature of the program encourages students to explore their interests. Students may specialize in social and global aspects of technology; technology and applications development; applications of technology to business; or user experience in design. Information Systems majors first develop a foundation in mathematics and statistics, computer programming and data structures. This is supplemented with courses in communication, organizations and quantitative research. The core courses include the study of databases, application design and development, project management and innovation. Beyond the foundation and core courses, students develop depth of understanding in one of four content areas. In the technology content area, students develop a deeper understanding of computers and related systems and how they are implemented and managed. Courses include networks and security, information systems auditing and mobile web development. The social and global systems content area introduces students to the benefits and challenges of using modern information systems in the global community. This requires a foundation course in global systems that is supplemented by electives that include issues such as cross cultural business and information systems and sustainability. In the design content area, students develop a broad perspective on how humans interact with technology and the environment. Courses in this area include issues of usability and interaction design, application design, document design and data design. The content area in applied informatics provides students with the theory, methods, and techniques to create, manage and use information in organizations and businesses. Courses include business process management, enterprise systems, geographic information systems and decision analysis and decision support systems. In the project-based courses, information systems students work with outside organizations to identify, articulate, scope and develop a solution to real world problems. Students learn to assess client needs, create solutions and evaluate their work, which is excellent preparation for the professional practice of information systems. View a sample four year plan for the Information Systems degree. Typical career fields for new information systems graduates include project managers, IT and risk management consultants, entrepreneurial ventures, business analysts, web and mobile application developers, application designers and user experience testing. 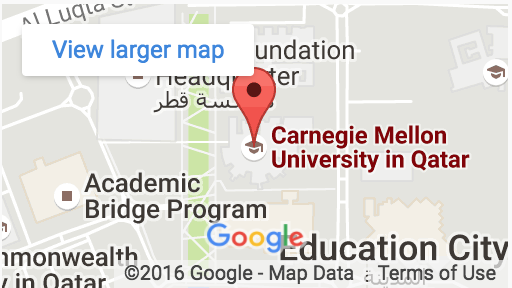 Where do CMU-Q information systems alumni pursue graduate studies? 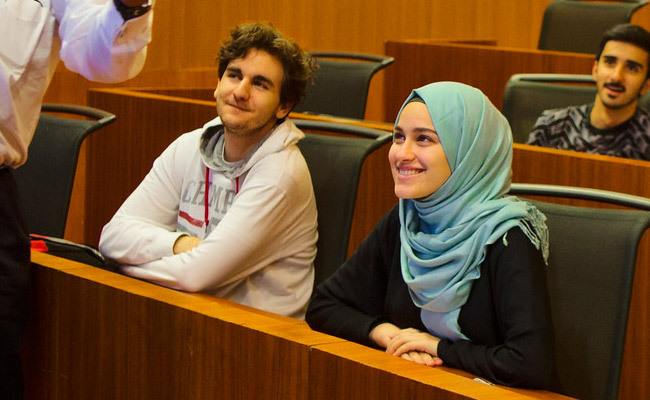 Information systems (IS) students practice interdisciplinary methods from day one, making CMU-Q IS students very competitive at hackathons and innovation competitions. 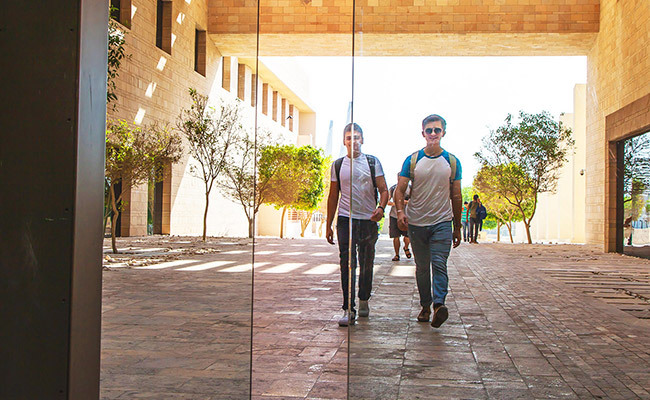 Information Systems students at CMU-Q can choose from an extensive slate of academic enrichment opportunities that enhance their work in the classroom.